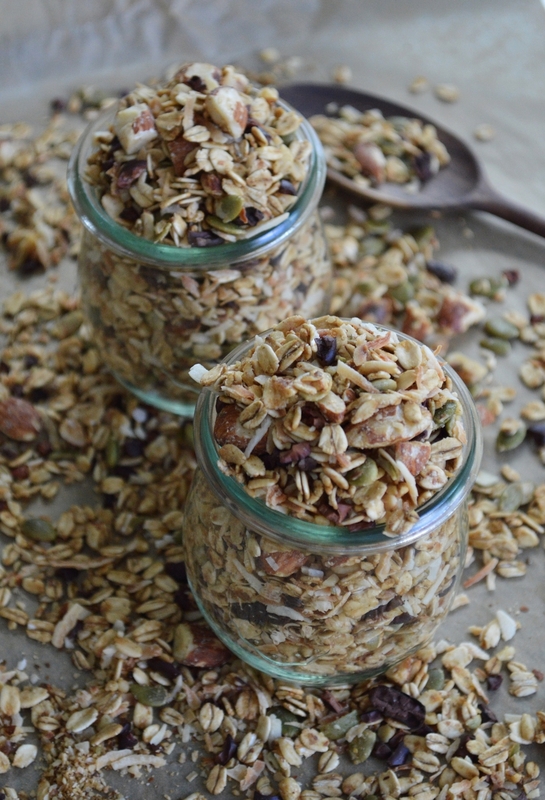 I have been wanting to make my own granola for like, forever – and it just never happened! That is, until a couple weeks ago, while Adam was out of town, I basically came home on a mission to make a batch of homemade granola! 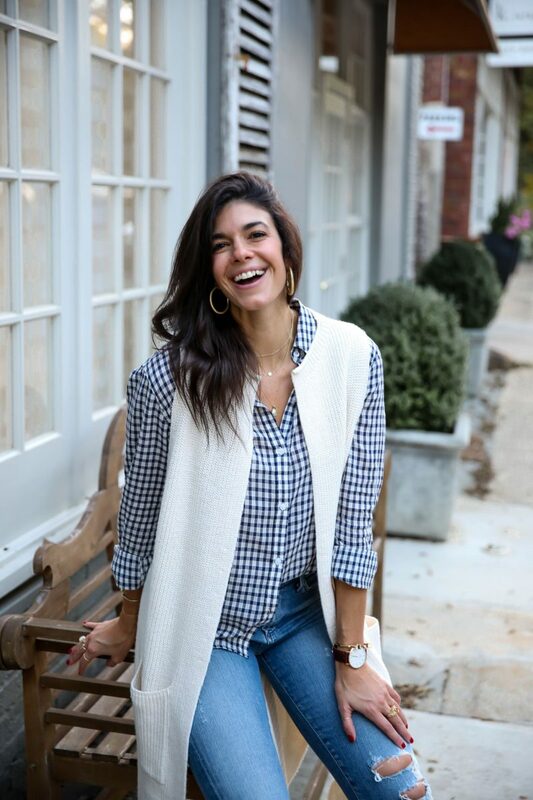 I had everything I needed & knew I wanted to use in the house, so I went for it! 1) its like the easiest thing to make. EVER. and 4) Adam totally loved it which makes me even happier about the whole homemade granola thing! 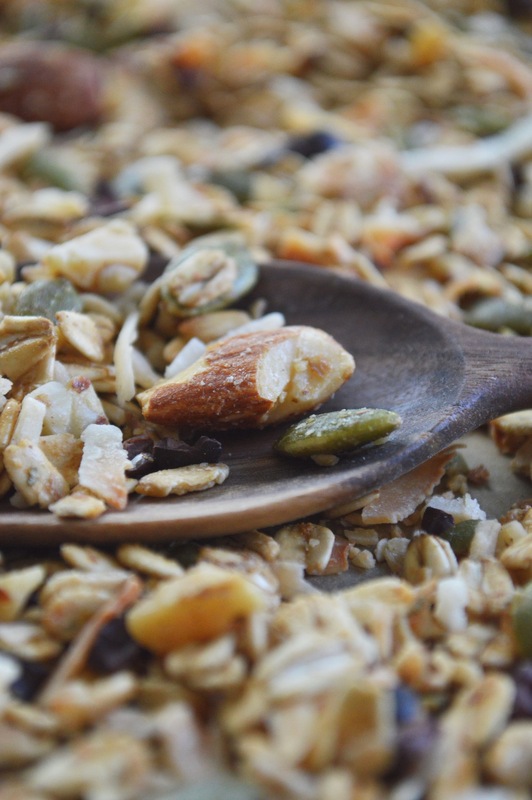 If you actually read the label on many of those yummy, often flavored, granola mixtures sitting on the shelves, they are loaded with sugar, sugar, sugar and unhealthy carbs. So! 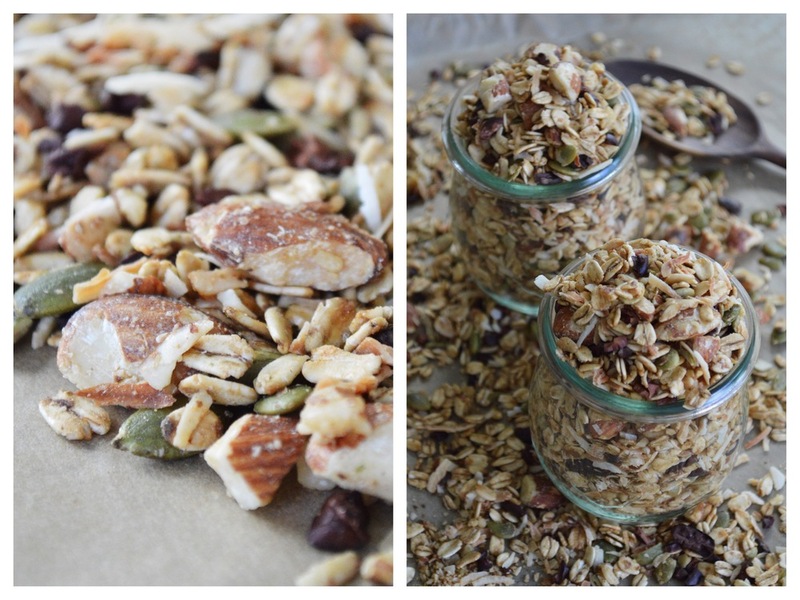 Enter my super healthy and gluten free granola recipe! The only sweetener I’ve used is a 1/4 cup of pure, organic maple syrup for the entire batch – that’s it! 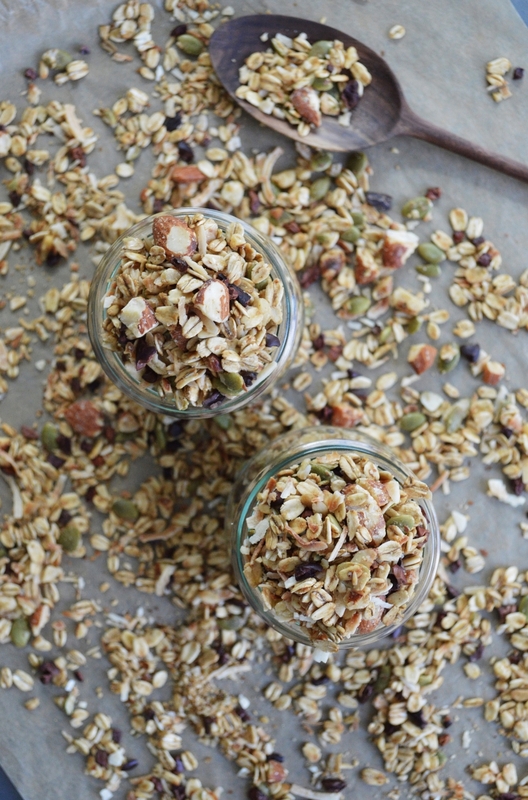 This granola recipe is full of good-for-you, clean ingredients! Add your pepitas into the food processor with your walnuts & almonds and give just a couple pulses. 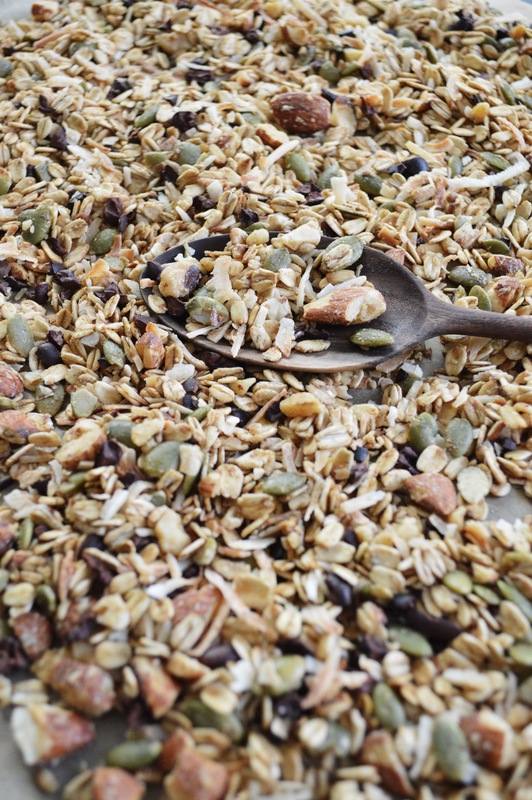 In a large bowl, add your oats + nuts & seed mixture and give a good mixing with your hands. mix, mix mix, but with a spoon now. After the 10 minutes is up, pull your baking sheet from the oven, give it a good mix then add your coconut & cacao nibs. Make sure you’ve spread your granola evenly on the pan again. Remove, granola from the oven again, give everything a good mix one last time, make sure your granola is cooking evenly & nothing is burning and pop back in the oven for 5 more minutes. during each 10 minute period, open the oven and check that your granola isn’t burning & give a little mixing. Sea Salt. If you can, go and get yourself a good quality salt. Don’t use processed table salt. 1) its not good for you 2) it just doesn’t have the same effect as a pink, black or grey salt. I promise! 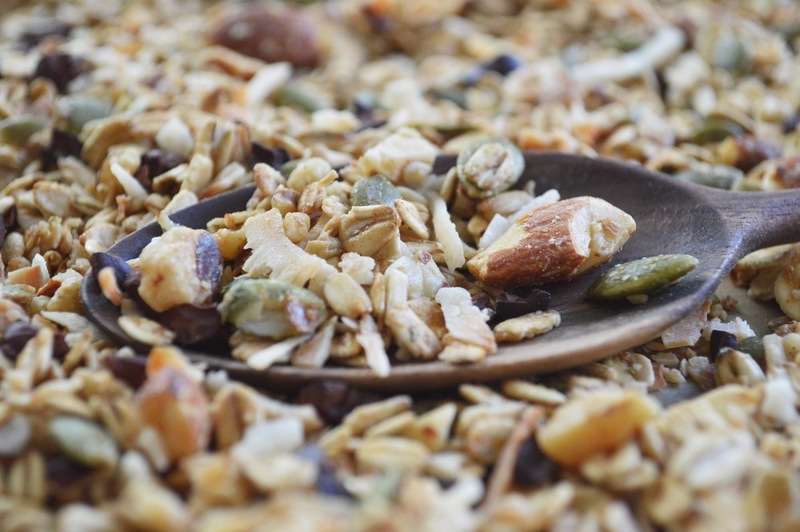 Taking a bite of this granola and getting a little hint of the saltiness + the slight sweetness from the maple syrup!? Mmmm! Its everything, guys!! I really love making things in small batches and always love eating super fresh foods, so I went with a pretty small batch of granola, using 1 cup of oats. Feel free to double up everything if you’d like to make a bigger batch!